Bhubaneswar: Odisha Hockey Men’s World Cup Bhubaneswar 2018 is getting bigger with every passing day. Hockey World Cup 2018 – Host Partner on Wednesday posted Odia cheer song on Twitter, and it has been sung by none other than Bollywood’s popular singer Mika Singh. Every Cup needs a song. Here is one for Odisha! 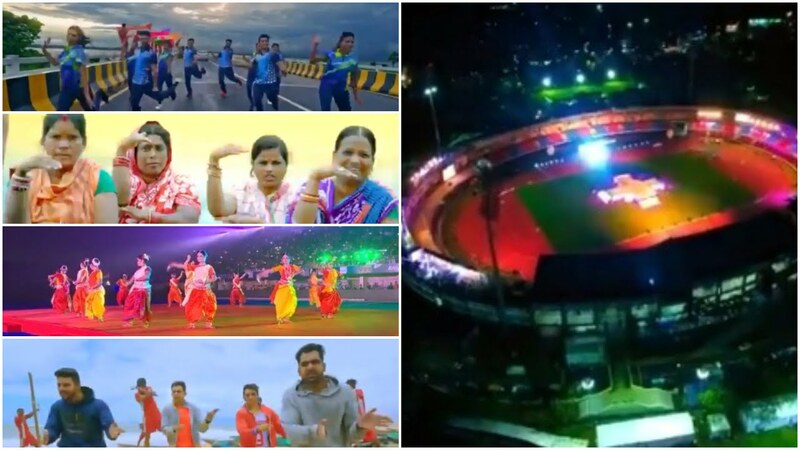 The pumping cheer song with its mainstay as ‘Asa Kariba Ete Bobbaal, Odisha Naa Heba Global!’, calls out to all Odia people across the globe to stand united as Bhubaneswar hosts the world during the Hockey Men’s World Cup. Ollywood singer Lipsa has also lent voice to the song by Mika in Odia. Popular director Susant Mani has directed the foot-tapping music video produced by Dr Nila Madhab Panda’s Eleeanora Images. The lyrics have been penned by Sachin Das Burma and the music has been composed by Goodly Rath. The mega event is scheduled to be held at Kalinga Stadium in Odisha capital from November 28 to December 16. The opening ceremony will be held on November 27 with performances by Bollywood super star Shah Rukh Khan and music legend A R Rahaman, who has also composed the official song of the tournament.